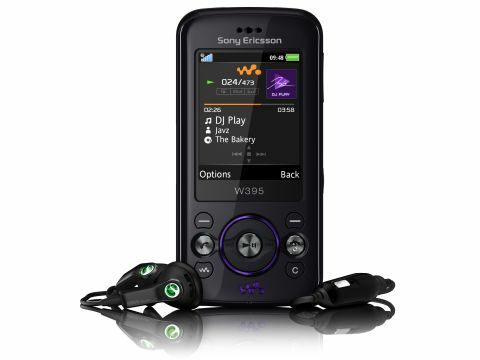 Splashed with Walkman branding, the W395 is one of the budget wannabes in Sony Ericsson's music mobile line-up rather than one of its top-of-the-bill acts. Pitched at a wallet-soothing £70, it makes a play for the cash-conscious music phone buyer with a low-key features line-up – fronted up by the tune-playing pull of that Walkman label. The Sony Ericsson W395 slips into the sort of cheap music mobile territory previously occupied by the likes of the W350i and W380i. This model, though, is more of a straight-ahead sliderphone design, with the prominent stereo speakers on the back the main eye-catcher for its target youth market buyer. While it lacks 3G connectivity, the W395 has the essentials for an entry level handset – a 2-megapixel camera, an FM radio to go with the music player, email support and video clip watching capability, plus a mobile internet browser. That Walkman branding, though, does promise a bit more punch in the music department than the average down-range mobile. So how much should you really expect from a low-budget Walkman music phone?